Sitting having lunch outside recently my eye was drawn to a rather odd fellow walking past. With a bolt upright posture and off-kilter gait, shirt tucked neatly into high waisted chinos and a backpack pulled super tight, he instantly put me in mind of a psycho. Not an overt ‘Begby’ style one a la Trainspotting, but a buttoned-down average Joe, one of those blue-collar types. The kind that no one notices… Until it’s too late. To paint you a better picture here are some creepy characters that sprang to mind. Pray you never meet them as your day will most likely get a hell of a lot worse. Douglas’s Foster is the most average Joe on this list (if you couldn’t tell from his outfit) and managed to dominate every situation he encountered – in a zen like way only achieved by a man who’s long ago fought the devil of insanity and lost but grimly accepted the outcome. Whatever you do, ensure you know where your wife is at all times, especially if you’re on the hunt for an unassuming chap like Spacey’s Doe. Only appearing completely in the flesh near the end of the movie, he still made a profound and visceral impact. Beyond his supremely creepy haircut, which just screamed psycho, Bardem gave his character a really understated level of malevolence and menace. His weapon of choice, too, was inspired, and should earn a place in the psycho hall of fame. Barely concealed fury personified. In Logan, Kingsley created a character which, in other actor’s hands, could have been laughed at or dismissed as thinly drawn; yet here he commands you watch and fear him. Ray Winstone looked scared to death. This film didn’t grab me initially but there’s no denying Miller’s consummate performance as Kevin. The subtle yet brazenly disturbing way in which he torments his family – particularly his sister – before letting loose on his school is truly frightening. Nice list. 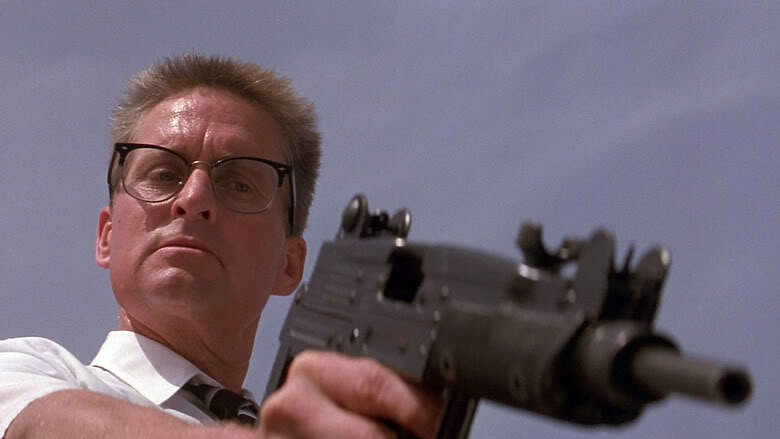 Falling Down is a fab film and is my fave of the five. Norman Bates is one I’d have to put in. There are more of course, I guess those were five that stood out for me. Glad you liked the post. Very nice list. 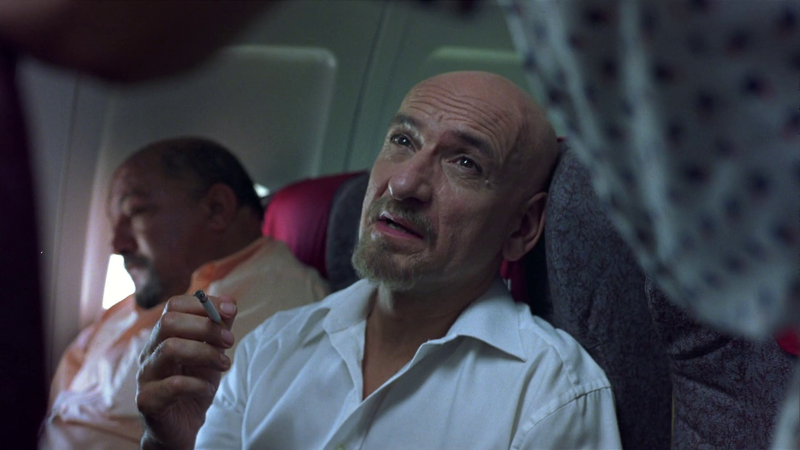 The one glaring omission for me is Patrick Bate man from American Psycho. The dude defines this category. I suppose my criteria was average Joe types. And Bateman is anything but average and unassuming, so I left him out. I have to disagree, Michael. Part of what made him so effective is that he was so average, for a Wall Street yuppie, at least. To most he didn’t have much of a discernible personality, hung around his co-workers, and philosophized about pop music. But, it is your list so I can’t argue too much, lol. Well argued but I’m sticking with my choices. Good points though. Whiplash: Who knew jazz could be so brutal?